Florida lighthouses are among the state's oldest structures. All of them have interesting stories to tell, and some of them can be visited by tourists. These places make an entertaining destination for a Florida day trip. The oldest lighthouse on mainland Florida is the one in St. Augustine that was built in 1824. The tallest lighthouse in Florida is the one at Ponce de Leon Inlet south of Daytona Beach. It is 175 feet tall and one of the tallest in the United States. 6 of the lighthouses in Florida are open to the public. Some of them allow visitors to climb to the top. Some of them also serve as the location for weddings. Jupiter Lighthouse, for example, has 30 to 40 weddings a year. Although there are 38 lighthouses that I know about in Florida, this website will focus only on the ones that can be visited by car. Each lighthouse page has a bit of history, a photograph and a map to show you how to get there. 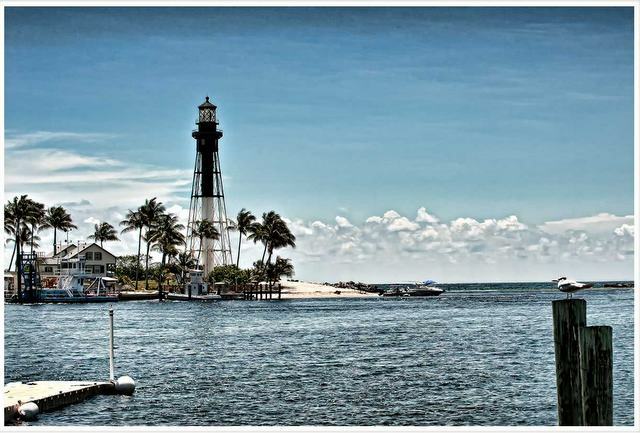 An excellent authoritative source about lighthouses in the State of Florida is at the website of the Florida Lighthouse Association. 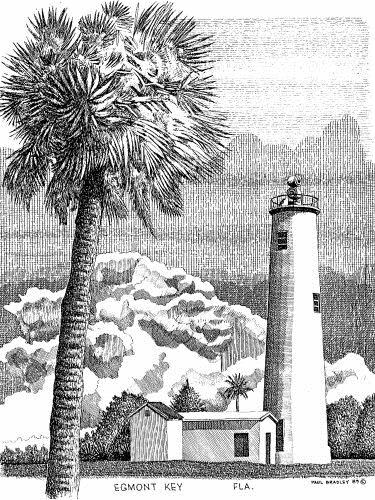 They have a collection of 45 Paul Bradley ink drawings of lighthouses in Florida. Here is the direct link to the Paul Bradley Collection. 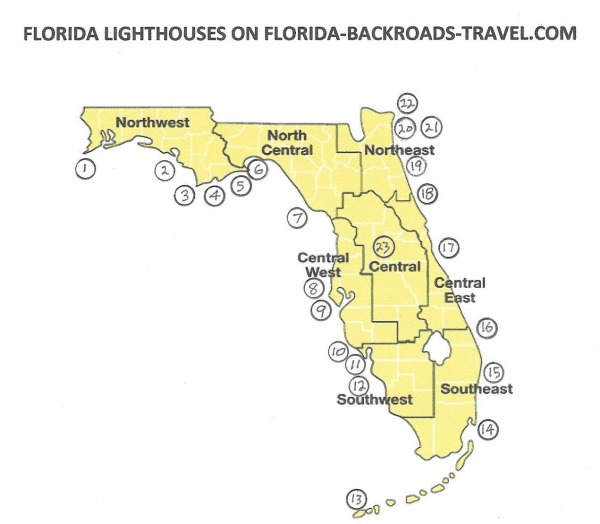 Here' a road trip that visits 5 central and north Florida lighthouses.